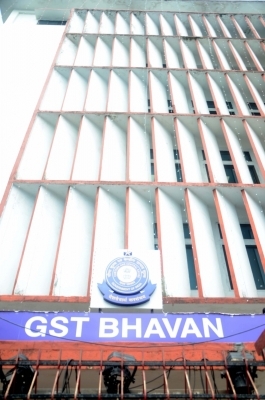 New Delhi, Oct 24 (IANS) In a relief to GST taxpayers, the government on Tuesday waived the penalty for filing late returns for the months of August and September, and the money already paid as penalty will be credited back to businesses. “To facilitate taxpayers, late fee on filing of GSTR-3B for August and September has been waived. Late fee paid will be credited back to taxpayer ledger,” Finance Minister Arun Jaitley announced in a tweet. Late fee of Rs 200 per day was being charged from businesses. For the month of August, only 55 per cent of businesses had filed returns till September 25. September 20 was the last date to file GSTR-3B. For the month of September, the last date to file GSTR-3B was October 20. GSTR-3B is a summary return of details of outward supplies, inward supplies, credit and payment of Goods and Services Tax (GST). The government had earlier waived off penalty for late returns for the month of July.